The Open Door Clinic, like many non-profit organizations, can only serve the community because of its amazing volunteers. There are many fulfilling dimensions of vol­unteering and each person has their own reason to volunteer. Next Next post: Three Year Strategic Plan 2018-2020 Taking ODC to its 30th Anniversary! 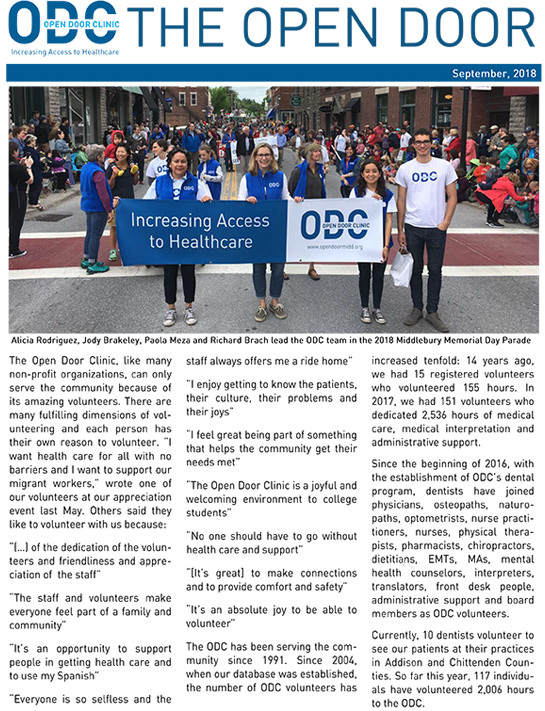 Copyright © 2019 Open Door Clinic. All Rights Reserved.